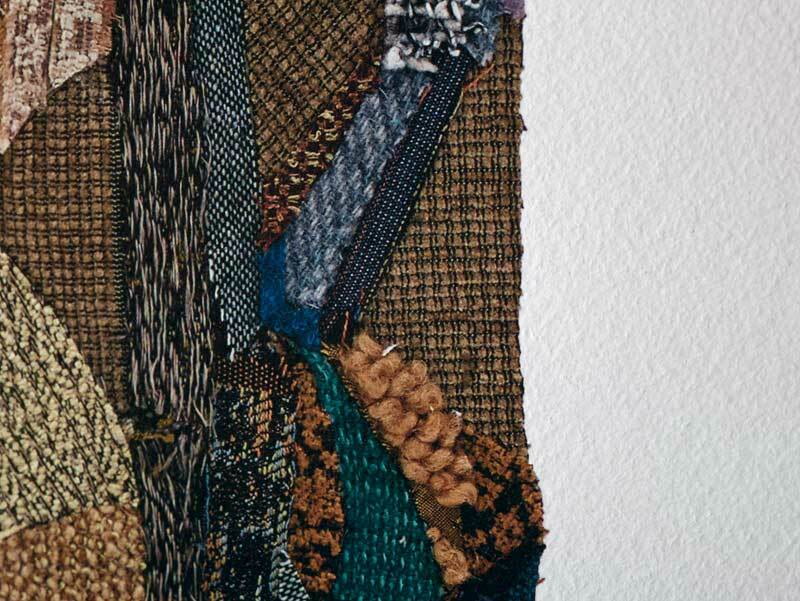 This week Brilliant celebrates the opening of artist Andrea Packard’s exhibition, The Fabric of Nature, at the Walton Arts Center’s Joy Pratt Markham Gallery. 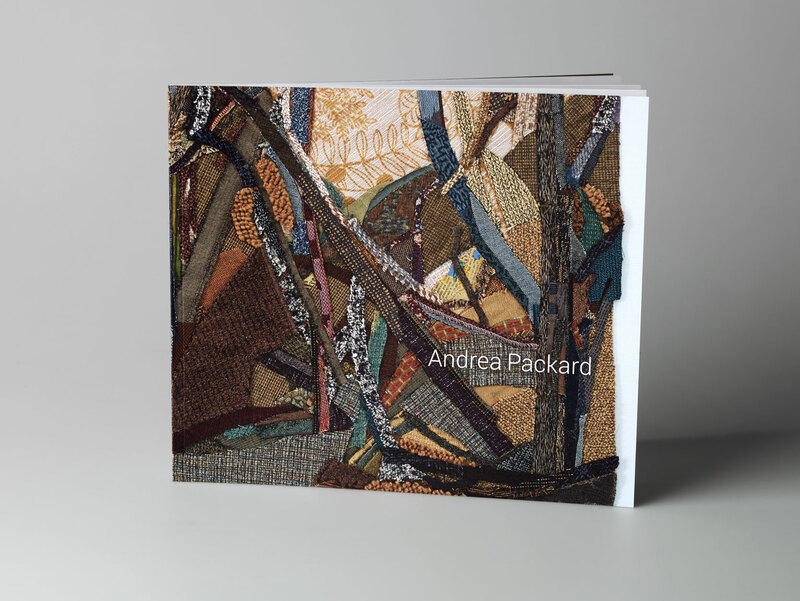 We worked with Packard and designer Phil Unetic to produce the exhibition catalog, collecting Packard’s large, textural carvings and mixed media pieces in a more intimate form to be enjoyed long after the exhibition’s close in April. Cover printed full color plus additional PMS and layflat aqueous coating. Text pages printed full color with satin aqueous coating. Brilliant’s experience translating the artist’s vision into results in print allowed us to finish the day on press without any compromises. 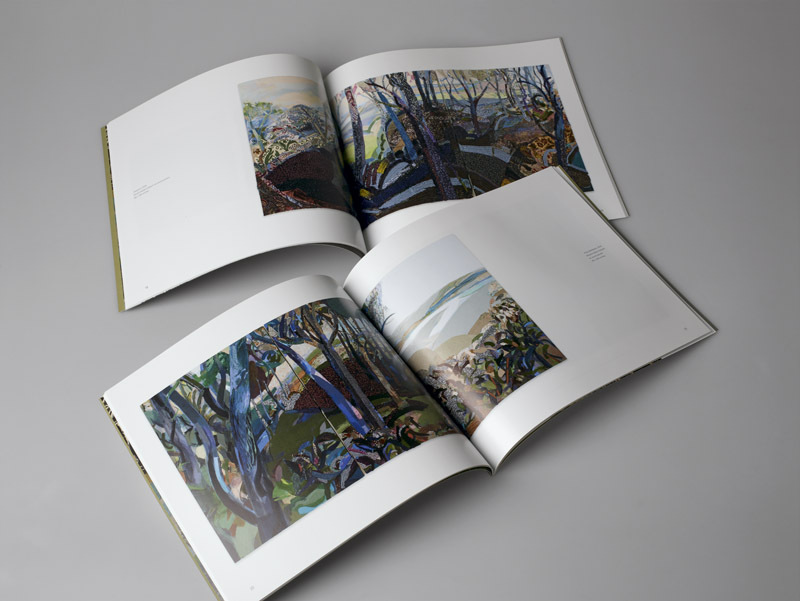 Guidance provided by Packard and Unetic enabled Brilliant to ensure the publication successfully honors the rich, vibrant surfaces of Packard’s originals on the printed page. Our commitment to your goals makes working with us different. 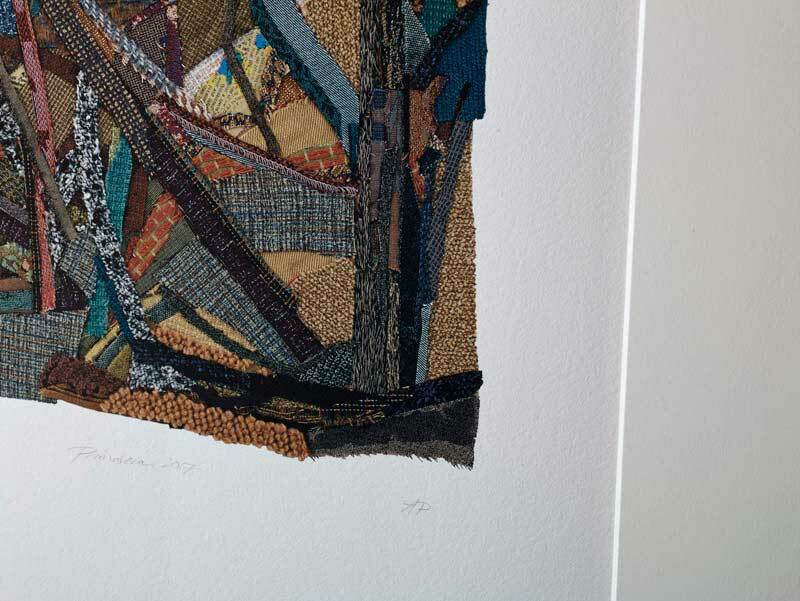 Packard and Brilliant have also created a pair of commemorative limited edition giclée prints of her mesmerizing collages. The selected artworks from the exhibition are printed on Hahnemuhle German Etching matted with 8ply museum rag mat board. 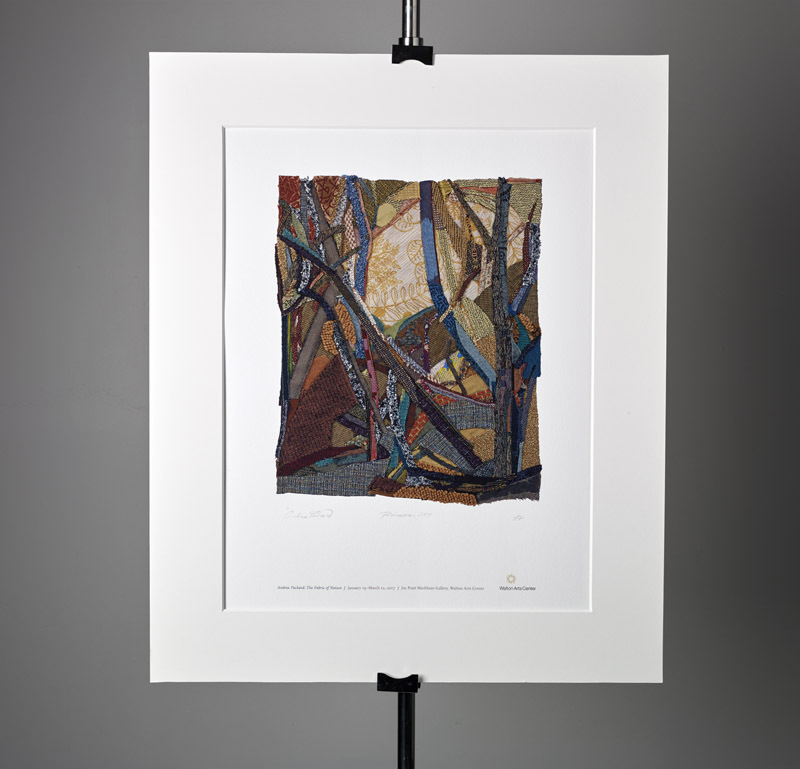 To purchase a catalog or commission a limited edition giclée print please contact the artist via andrepackard.net. 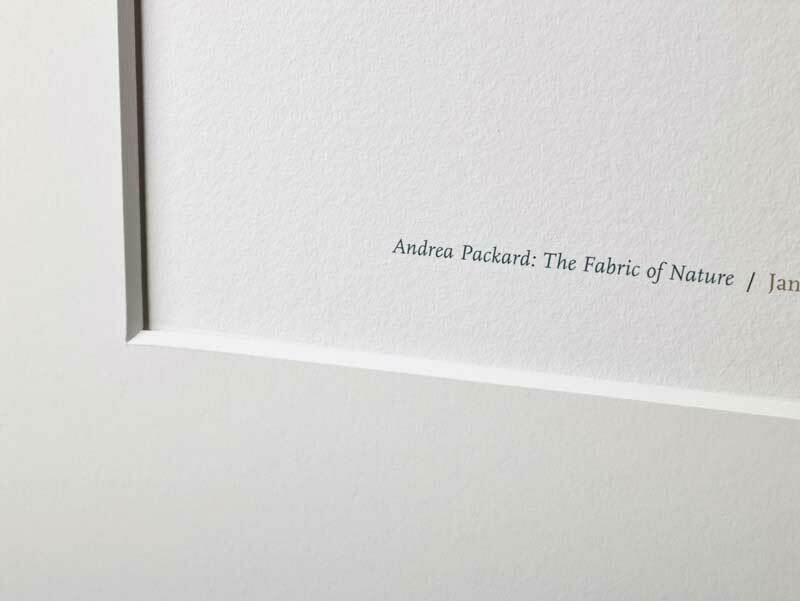 We thank Andrea Packard for trusting Brilliant to produce these materials for such an important exhibition, and congratulate her on the opening of The Fabric of Nature. Let Brilliant achieve your vision in print. 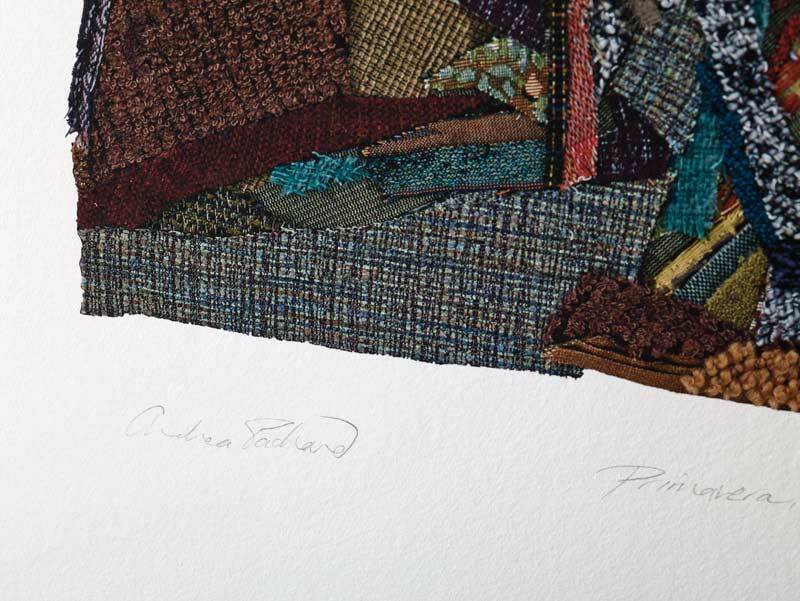 Andrea Packard has presented her paintings, prints, sculptures, and mixed media works in over 60 exhibitions throughout the United States. 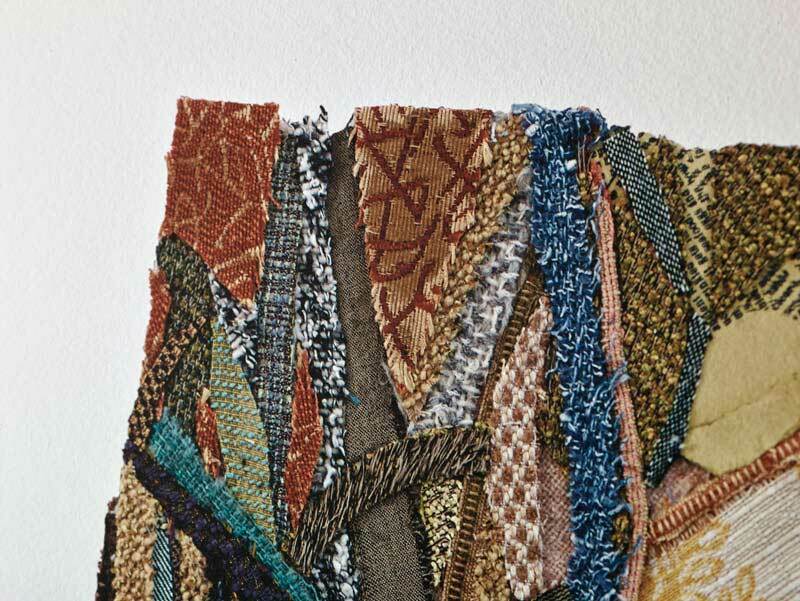 A graduate of Swarthmore College and the Pennsylvania Academy of the Fine Arts, she received her M.F.A. from American University. Packard is also the recipient of several residency fellowships at prestigious institutions. 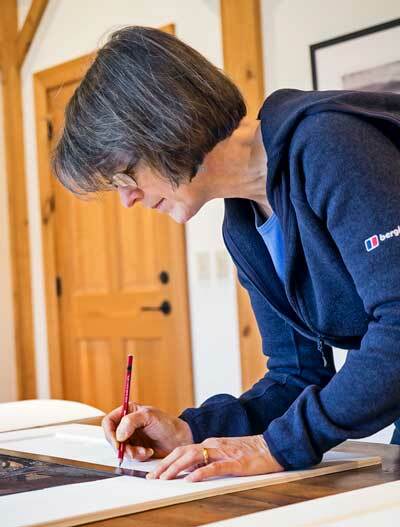 Since 1995, Packard has directed the List Gallery at Swarthmore College, where she has curated more than 110 exhibitions in a variety of media.